Comey Hits Back At Hillary: "She Doesn't Understand What Her Case Was About"
﻿James Comey hit back at Hillary Clinton after the former secretary of state sniped at him over a Justice Department inspector general report which revealed that the former FBI director used a private email address to conduct official business - while his FBI was investigating Hillary for her own use of private systems. 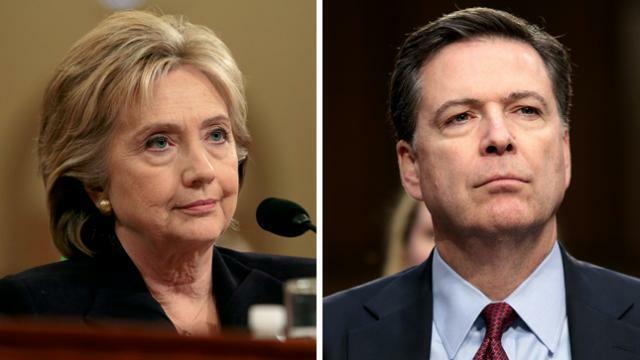 In an interview with the German newspaper Die Zeit, Comey refused to apologize to Clinton - stressing the difference between his personal use of email for unclassified information vs. her use, which involved classified information. Comey defended his use of personal email - saying he only used it for things like sending himself drafts of speeches. The former FBI Director also touched on the text messages uncovered between FBI Agent Peter Strzok and former FBI attorney Lisa Page, who were having an extramarital affair together and harbored extreme anti-Trump / pro-Clinton bias. "We archive the texts, so maybe it's a sign we don't have the brightest people working at our organization," joked Comey, adding "I never saw any indication of bias and Peter Strozk did the first draft of my letter to Congress on October 28th that Hillary Clinton blames for her losing the election, so how exactly is he trying to get Donald Trump?" "I don't see any evidence of a conspiracy, if the president and his allies want to claim a conspiracy they have to encompass all the data, I don't see how you could approach this and conclude we were on Hillary Clinton's side or on Donald Trump's side and I never saw any indication from those two people," he said. Comey initially responded to the Inspector General's report in a New York Times op-ed last week, the day the report came out. He was sure to point out that the IG report "found no evidence that bias or improper motivation affected the investigation," and said that "in hindsight I think we chose the course most consistent with institutional values."